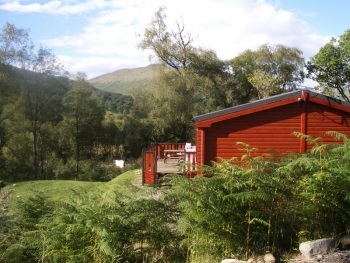 Wonderfully situated in the Gateway to the Highlands, Balquhidder Braes Holiday Park is a small, friendly site in an area of outstanding natural beauty. The area is a haven for animal and bird life and the park features views over the Braes of Balquhidder in the heart of Rob Roy Country. Shop with a good range of provisions, local beef, venison. Log cabins open all year. Static caravans open March to January. Touring caravans open March to November. 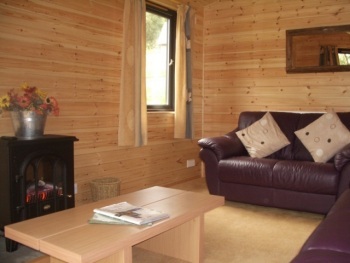 Winter Special Offer: Short Breaks in Luxury Log Cabins. 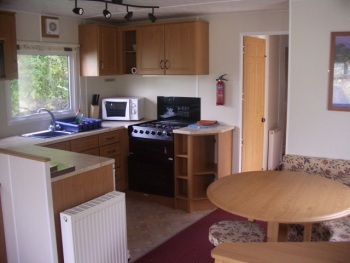 Four Star Holiday Park with 4 log cabins - 3 x 4 berth and 1 x 6 berth. 4 static caravans -2 x 4 berth and 2 x 6 berth. Log cabins - all year. Static caravans - March to November. Touring caravans - March to November. Wonderfully situated in the Gateway to the Highlands, Balquhidder Braes Holiday Park is a small, friendly site in an area of outstanding natural beauty. The area is a haven for animal and bird life- including red squirrels - and the park enjoys views over the Braes of Balquhidder in the heart of Rob Roy Country. The 4 star holiday park features self-catering log cabins and static caravans; pitches for touring caravans, tents, camper vans and motorhomes; log cabins for sale; swings and slide in kids play area; shop with a good range of provisions including, local beef and venison. Internet access. Short Breaks are available throughout the year. "These beautiful and wild regions, comprehending so many lakes, rocks, sequested valleys, and dim copsewoods, are not even quite abandoned by the fairies,who have resolutely maintained secure footing in a region so well suited for their residence"
Within the Loch Lomond and The Trossachs National Park and centrally located for Touring and sightseeing between Callender and Killin, we are only 80 minutes from Glasgow, Edinburgh and Perth. Golf, walking, water-sports, fishing and cycling are all available on our doorstep, as well as many of Scotland's top tourist attractions.